Ballard once a city — ring a bell? Sketched March 1, 11:46 a.m., 3:08 p.m. The bell inside the Ballard Centennial Bell Tower has been silent for almost 20 years, but 97-year-old advocate Bertha Davis is clamoring for it to toll again. 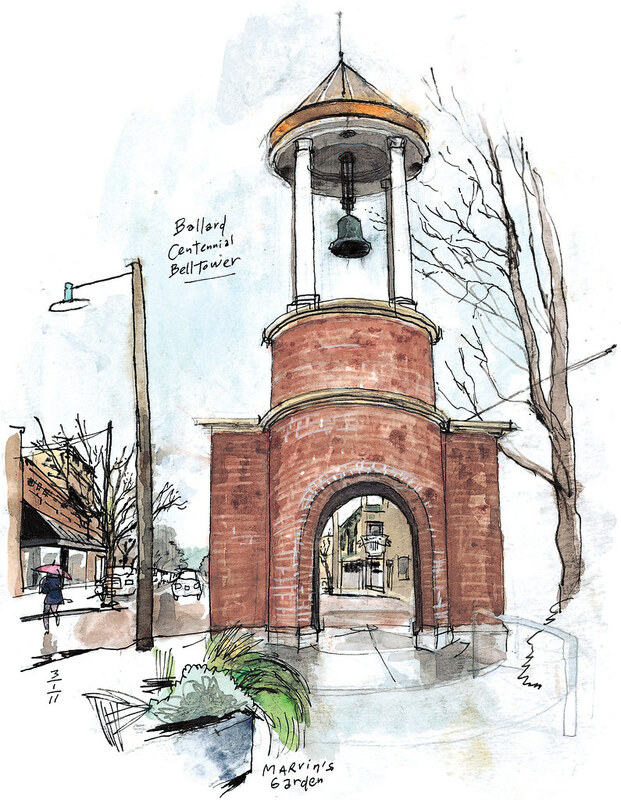 The 1,600-pound bell hung above Ballard’s City Hall when the neighborhood was an independent city at the turn of the 20th century. Back then, it rang at 6 o’clock every evening when the shingle-mill workers left their jobs, said Davis, a retired schoolteacher and Ballard resident since 1945. Davis is part of the bell’s storied past. In the 1980s, she was part of a committee that helped get the bell’s current tower built at the site of the former city hall. The bell rang there until the mechanism was dismantled following some acts of vandalism. Now, Davis wants to take care of unfinished business by installing an automated ringing system. 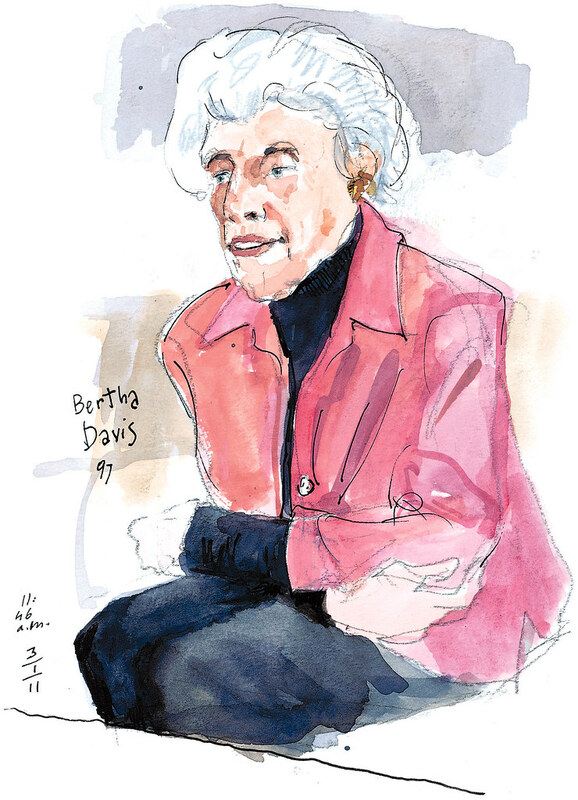 A committee has been formed and a “Bring the Ring Back” campaign has been the buzz of the neighborhood since Davis celebrated her birthday with a party by the bell last month. Drawn to Seattle. Where should I take my sketchbook next? Do you know of a good story waiting to be drawn? I’d love to hear about it. You can send me your suggestions to gcampanario@seattletimes.com or via Facebook or Twitter. Have an awesome weekend!